Quick! We need a fill in! 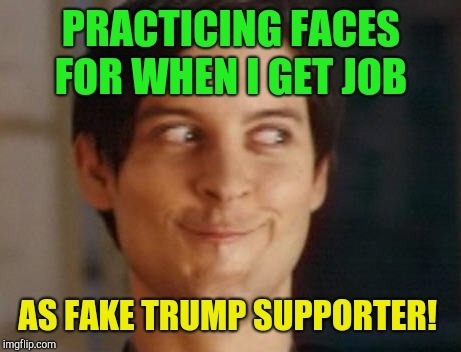 PRACTICING FACES FOR WHEN I GET JOB; AS FAKE TRUMP SUPPORTER!